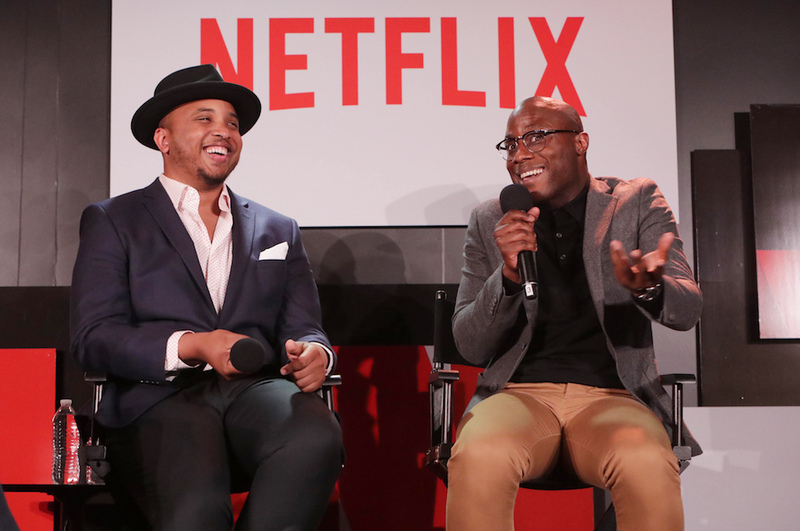 Justin Simien and Barry Jenkins formed a "brotherly rivalry" on the set of "Dear White People," which let the creator direct the director toward fantastic results. “Dear White People” has garnered a lot of praise for its stellar first season, and each episode is deserving of its own time in the spotlight. Part of what makes all 10 individual half-hours stand out is how creator, writer, and director Justin Simien collaborated with everyone involved — including Episode 5 director Barry Jenkins. In a Facebook Live chat with IndieWire, Simien explained how his relationship with the Oscar-winning “Moonlight” director moved from “Twitter friends” to professional collaborators. And, further still, how that friendship helped him get the most out of the talented director. Simien also explained how he wanted directors to bring their own vision to the episodes they helmed. He wanted Reggie’s episode to feel “singular,” and freeing Jenkins’ creative energy was key to that. Outside of his directors, Simien is drawing inspiration from all over the media map — Robert Altman, “Girls,” “Fleabag,” and “Adventure Time” — but “Dear White People” is always rooted in personal experiences. Simien noted how shifting the storytelling perspective each episode proved especially conducive to an Altman-esque structure. The season was guided by a specific incident — a blackface party — leading to a general campus-wide crisis, but the larger issue remained in the background as its effects were examined on a personal level by multiple characters. Simien also spoke about the acting changes from film to series, how Logan Browning surprised him before they even met, and the musical inspirations for the series. Watch the entire interview below. “Dear White People” is streaming now on Netflix.